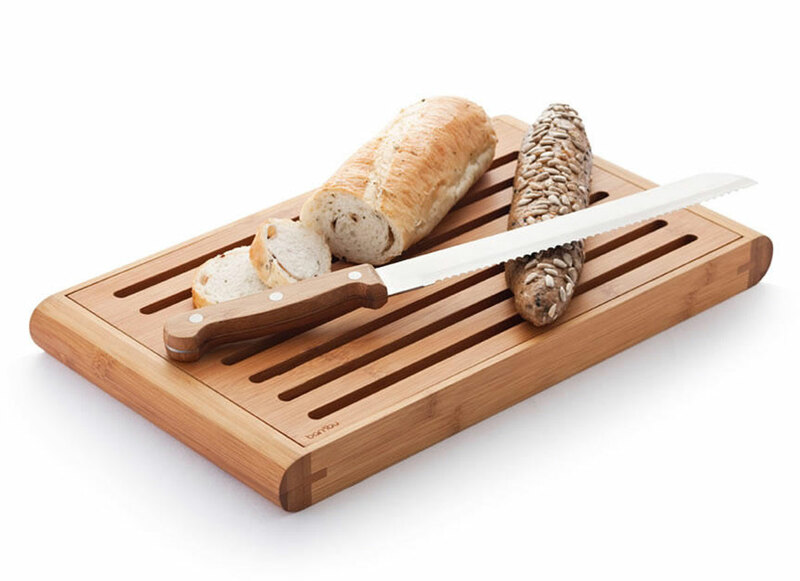 The clever design of this bread board means you can now enjoy a loaf of crusty bread without the messy clean up! Unlike other crumb boards the slotted cutting surface is immobilised on either side so there is no problem with the two pieces sliding apart. Also, for cleaning simply hold the board over the sink and the top slotted part pops right out. 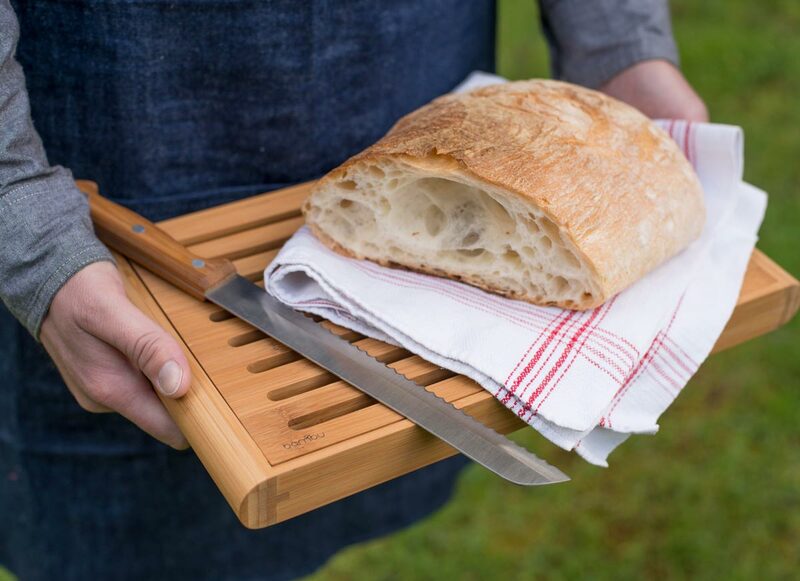 Bambu's chopping boards are all beautifully designed. They’re made from organically grown bamboo, and then hand shaped and finished with a natural food safe oil. 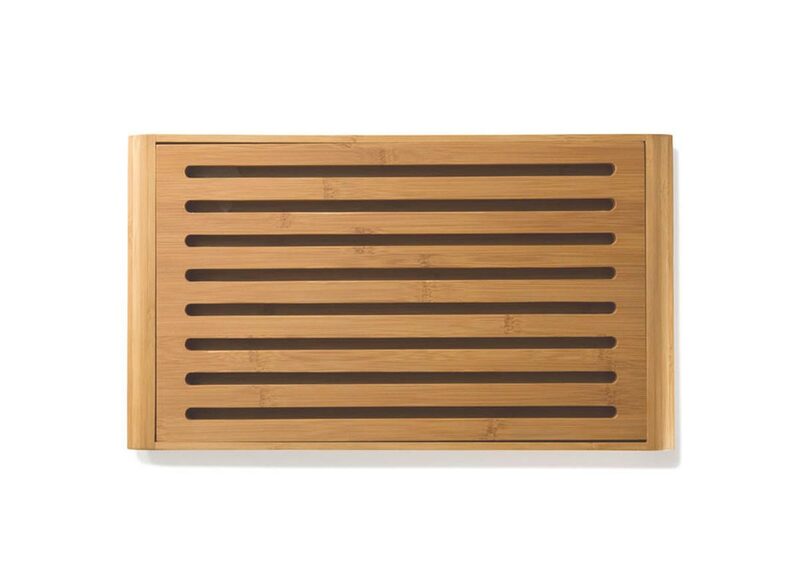 Bamboo is more durable than wood, is heat & stain resistant and is ideal for non-stick cookware. It’s a wonderful material for food preparation as it’s naturally sterile. It will neutralise bacteria left on the surface after 24hrs. Not only that but it’s very sustainable. It can grow a metre a day, meaning that growers have a fast renewing source of materials. It’s so tough and durable that it’s used around the world for scaffolding, building houses and even transport. Easy to care for with a quick wipe-down or soapy rinse in warm water.